A secret weapon in my homemaking is listening to things out loud during my day while I work around the house. It helps motivate me to get to work, helps me stay energized while I work, and becomes an incredible opportunity to learn and grow. I regularly listen to the Bible, many good podcasts, and audiobooks. Because I talk about this so often, people always ask me what podcasts I listen to. Today I’m sharing all my favorites. I do probably 50% of my Bible reading while I’m making breakfast. If I didn’t get up early enough to do my Bible reading before the kids get up, then I love to listen to the Bible out loud while making breakfast. I also love to listen to podcasts and audiobooks out loud while I do other meal prep, clean the bathrooms, do the dishes, etc. We live in the woods so we are a good 20-45 minutes from anywhere. I love to use this time to listen through some things…driving becomes one of my favorite things. In fact, sometimes if I am having a particularly rough day (if the kids woke up at night, someone’s not feeling well, or so on) then I will throw everyone in the car and go for a drive. It helps! Before bed, I like to do a good 15-30 minute pick up around the house. This is a great time to listen to stuff. OR Jason will read out loud to me while I work or we will listen to an audiobook together. We will also do this if I’m doing things like working on a painting project, decluttering, etc. I use the YouVersion Bible App. It’s a free app that gives you access to hundreds of Bible translations. Several of the translations allow you to play the audio version of the Bible as well as read it. I listen in the ESV and the guy who reads it does such a good job! Like I said, probably 50% of my Bible “reading” is actually done while listening to it out loud. If you are really struggling to establish a good Bible reading habit, then this is a great thing to add into your day! What is this podcast doing here?? 😉 I wanted to include my very own podcast just in case you are not familiar with it yet. If you are looking for something to listen to for Christian women, I encourage you to check it out! I adore Jen Wilkin and love her advice! I’ve read two of her books and plan to read the rest of them. I’m just starting to go through her Bible study podcasts and highly encourage you to do the same! I would say that this podcast is definitely geared more towards moms but it’s very encouraging and inspiring for anyone! I find that I get a lot of good, practical take aways from this podcast. I’ve honestly not listened to a ton of this podcast but I do love Sally Clarkson and have loved what I’ve heard! I love and appreciate Donna Otto’s wisdom. Her book Finding a Mentor, Being a Mentor is one of my very favorite books on the topics of mentoring and relationships. Donna covers all kinds of topics in her podcast, you will love it! NOTE: This podcast used to be called Homemakers by Choice. This podcast is one that is aimed towards moms (obviously). But Heidi brings so much Biblical wisdom and insight into this podcast. I try to listen to as many of her episodes as I can! If you love reading, especially if you love reading classics like Pride and Prejudice, then you will love Anne’s podcast. It’s a really fun podcast! But I don’t tend to read the same kinds of books that she does. You might love it though! Amy is the mom of 9 kids and she has so much wisdom and advice for juggeling all the day to day demands. I love Amy’s heart and her practical, no-nonsense advice! Katie is a sweet friend who will encourage you and convict you to keep your eyes on eternity in the midst of everyday life. She will also encourage you to get to the core things of life while simplifying! Marci is amazing and you need to go listen to her podcast RIGHT NOW! She is sweet, encouraging, and will hold you to God’s Word! I love the truth and conviction she brings in these episodes while still being encouraging and motivating! These are some of my favorite podcasts that are not geared specifically towards women but also rock! This is kind of a random podcast that covers all kinds of different topics. I don’t listen to every single podcast but I love the ones I do listen to! I really love the female co-host in particular, Amiee Byrd. This is a fun podcast that Jason discovered! It’s a quick, 5 minute podcast on Church History. It’s an easy but informative one to listen to. This one would work well to use in your homeschooling as well! This has become one of my newest favorite podcasts! This recent episode from Jen Wilkin and this episode from Tim Keller in particular have been incredible!! Jason and I owe a LOT of our current business and business knowledge to listening to these podcasts. If you currently have a side business, run a blog, or want to make an income from home, these podcasts will be so so helpful! This was the first business podcast I really started listening to. Jason and I owe SO much in our business to Pat and his podcast. If you want to learn how to make an income online, I highly recommend you start here. I listen to every single one of Amy’s podcasts! It has become one of my favorites and contains so much practical insight into running a business, Facebook advertising, launching products and more! If you have a business that involves physical products (t-shirts, an Etsy store, etc.) then this podcast will teach you all kinds of stuff for producing, launching, running a store, and more. I’ve been listening to Chris Ducker’s podcast for a long time. If you are building a personal brand (like a blog or website) then his podcast is incredible helpful! I try and listen to every one of Michael’s podcasts. He is the go to guy on anything social media! This is my newest FAVORITE podcast. Beth Ann took a break for a while in her podcast and just came back in January. I make sure to listen to each and every one of her podcasts!! Christy’s podcast is great for any female entrepreneur but is especially helpful to those who run other businesses like coffee shops, run a day care, own an Etsy shop, and more! The last option is to listen through audiobooks! I don’t listen through as many audiobooks as I do podcasts because it’s harder for me in a book if I miss a thought or something because the kids are loud. But audiobooks work especially well at night or in the car! We don’t own a membership to Christian audio but I have purchased several books when they run some of their deals for $4.95 or $6.95 for an audiobook. And I usually download their free audio book of the month! Jason and I have a membership to Audible and have for a long time. Audible is owned by Amazon and they have the very best selection of audiobooks from what we’ve seen including a huge selection of Christian books. Most of our audiobooks are from Audible. Try Audible and Get A FREE Audiobook <— If you are thinking about trying out audiobooks, you can sign up for a free trial of Audible and get any book that you want for FREE! Don’t forget to check your local library! Most libraries now have apps and programs where you can borrow eBooks and Audiobooks! Now it’s YOUR turn!! I am always on the lookout for new podcasts to listen to. What are YOUR favorite podcasts?? Thank you Jami! Wonderful help as always! I love podcasts while cleaning too. Especially doing the dishes. Right now I have been listening to A Slob Comes Clean. She has been very encouraging to me. Since dishes are my least favorite (and hers too), I always feel super motivated when I listen to her while I’m doing my own dishes. She is a christain too. Seems like a very nice lady, have you every heard of her blog? Thanks for sharing!! Yes, I love her!! She was a speaker at our conference in 2014 🙂 I haven’t listened to her podcast in a while! I need to subscribe to it again! This is a really helpful list, thank you! I really enjoy listening to the God-Centered Mom podcast too. God centered mom podcast! Heather covers similar conversations as Kat Lee but Heather has a different approach and a genuine vibe that I really love. Can’t wait to check out some of the others on your list..
One of my favorite podcasts for christian women is Revive Our Hearts with Nancy DeMoss Wolgemuth. I think you will love it too! 😉 May God bless you, your family and ministry. 1. Today In Perspective With Harry Reeder: LOVE LOVE this podcast! They are about 10 minutes long which isn’t too bad especially for car rides (when I listen to them). Harry Reeder is the pastor of Briarwood Presbyterian in Alabama (SOLID church). The podcast is so great because it focuses on culture and current events with an analysis and encouragement regarding how Christians can biblically understand what’s going on in the world right now and how to bring our faith to the public square. Highly recommend giving this one a try, I think it’s great for all Christians in all seasons of life. 2. The Eric Metaxis Show: Eric broadcasts from New York and he is hilarious! He says his show is “a show about everything” and it really is. He is a strong believer and seems to have a strong grasp on what it is to “be in the world not of the world”. In the show he basically just brings people on who he thinks have something interesting to share, whether that be about biblical issues, current events, music, and really everything. If you want a good laugh, gospel perspective on culture, and recommendations for entertainment that you probably don’t already know about check him out! What an amazing resource thank you so much. Hi Jami, thanks for all the suggestions. 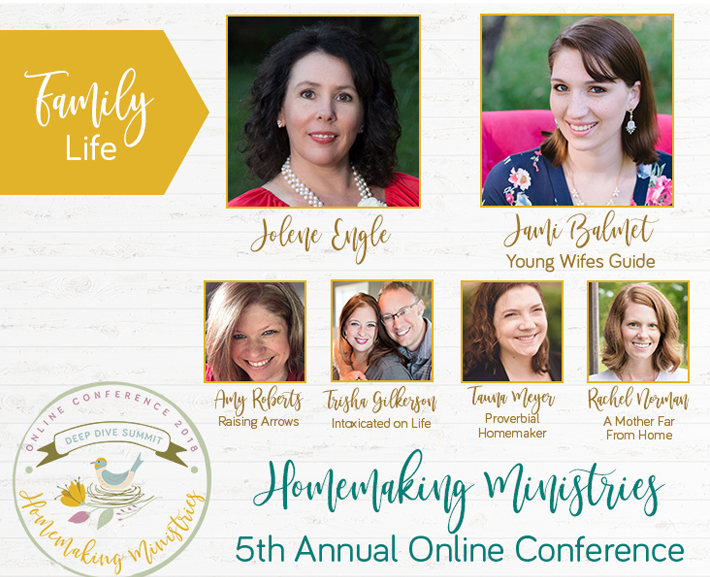 Currently, I’ve really been enjoying The God Centered Mom Podcast with Heather McFadyen as well as At Home with Sally and Parenting on Purpose with Dr. Bob Barnes from Sheridan House Family Ministry. I love so many of these podcasts! I would also recommend Revive Our Hearts from Nancy DeMoss Wolgemuth, she is such an encouraging and challenging Bible teacher. That Sounds Fun with Annie F. Downs is just what it sounds like, a fun girl-talk like episode. I don’t listen to all of her podcasts but when I’m in a grumpy mood or just need a light-hearted afternoon pick up, she always amuses me. And she has had some really interesting guests. And for a business recommendation, I also really like Simple Pin Podcast by Kate Ahl. Every week I learn a new Pinterest tip! Thanks for this Jami! What do you think of Jolene Engle’s the Marriage Mentor podcast? Love all your suggestions! Some I’ve listened to, but most I haven’t heard. So many great ones you’ve recommended here! Quick question: How do you actually listen at home? Do you have headphones on? A stereo system hook up? Computer? Phone dock? I have no computer or other sound system near my kitchen, and I’ve tried a JAM Classic bluetooth speaker, but it leaves me disappointed. I can manage with one earbud, OK, but hate being connected to the phone. No, I just listen through my phone’s speakers. I DO have bluetooth speakers somewhere but can never remember to charge them lol!! I HATE using earbuds, I can’t do it lol. I was curious if you have launched the new business podcast you mentioned in the episode? I wasn’t sure where to find it if so! Little late to the party but I just listened to your Podcast this morning. I love listening to Podcasts while I’m working since I have a quiet home and it drives me crazy. I’m pregnant so I know it won’t be like that much longer but I have to have something on in the background to listen to. I also listened to them a TON on our cross-country move. But I listen to them when it’s quiet and I want to listen to something other than music (so chores, the car, etc.). But I mostly listen to them while I work! Anyways, here are some of my favorites that you haven’t listed already. Not all are Christian but I love history so I like expanding my knowledge of that as well. 1. Stuff You Missed in History Class — This is a Podcast that covers a variety of different events/topics from history that you wouldn’t typically learn about. And they do from ancient history to more modern history. There is a ton of variety; from how foreign food came to the United States to the history of Disney’s Haunted Mansion to actual historic events. They’re super knowledgeable ladies and I love to learn from them. And they’re easy to listen to. Plus, if there is anything that could be questionable for little ears, they will give you a heads up at the start. 2. Glorious in the Mundane Podcast with Christy Nockels — This is one of my FAVORITE podcasts! 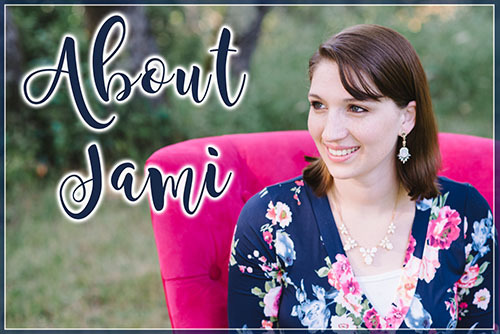 She interviews different Christian authors, artists, etc. but she also always tells a story of what she has been learning. It’s easy to listen to and I feel refreshed when I’m done. 3. Stuff You Should Know — This is another one by How Stuff Works. I don’t listen to it as much as the history one but they have just interesting tidbits on different things from history to science and more. They just do fascinating things. The other Christian Podcasts I listen to have either been listed by you or the lovely women above (i.e. Cultivating the Lovely, God Centered Mom, etc.). I’ve listened to A Mom’s Mission Field as well. It was recommended by a friend and I haven’t listened to a ton but the ones I have listened to have been great. Thanks so much for this! I’m excited to dig in to some more Podcasts! That’s awesome!! Thanks so much for those suggestions!! I recently found Christy Wright’s Business Boutique. I binge listened to every episode in just four days. Great info and well-constructed podcast. I also like to listen to StoryBrand with Don Miller, 48 Days with Dan Miller and EntreLeadership hosted by Ken Coleman. Confessions of a Terrible Husband is another one I enjoy. Just found it recently, but I like what I heard. I LOVE a lot of the ones you mentioned! Especially Jen Wilkin’s, Thankful Homemaker🙌🏻💗, Heidi St John, and Raising Arrows. Oh yes! I forgot about Sheologians!! I’ll have to check out the other two 🙂 thanks!! Thanks so much for the list! And I must add, I enjoyed reading everyone’s comments and what they’re listening to as well. The Big Boo Podcast–Host are Christian authors, Sophie Hudson (A Little Salty to Cut the Sweet, Home is where My People Are, Giddy Up Eunice) and Melanie Shankle (Sparkly Green Earrings, The Antelope in the Living Room, Nobody’s Cuter than You). Their earlier shows are sporadic and not great sound quality but 2017 was a turning point for them and the shows are funny, encouraging and just feel like you’re listening in on a weekly phone call between your two funniest, best friends.